A profound exploration of the Celtic spiritual tradition, and particularly of the Celtic visionary imagination.Connecting this with both the Platonic and Islamic traditions, this book suggests a "lost category" of existence which would account for the possibility of resurrection from the dead and communication with Angels. Noel O'Donoghue opens up new and exciting horizons for Christian exploration. 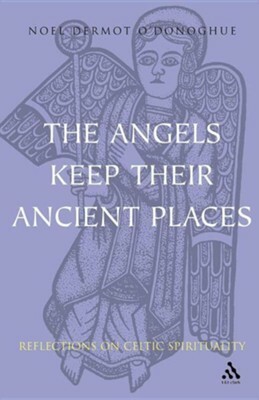 I'm the author/artist and I want to review Angels Keep Their Ancient Places: Reflections on Celtic Spirituality.